Sean Molloy finished a close second to World Championships fourth placer, Kyle Langford over 800 metres. Sean ran 1.53.00 yo Kyle's 1.52.54. Cameron Payas ran in race 2. James West just missed Robbie Farnham-Rose's recent TAC indoor 3000m record, when finishing ninth in New York in 7.58.26. 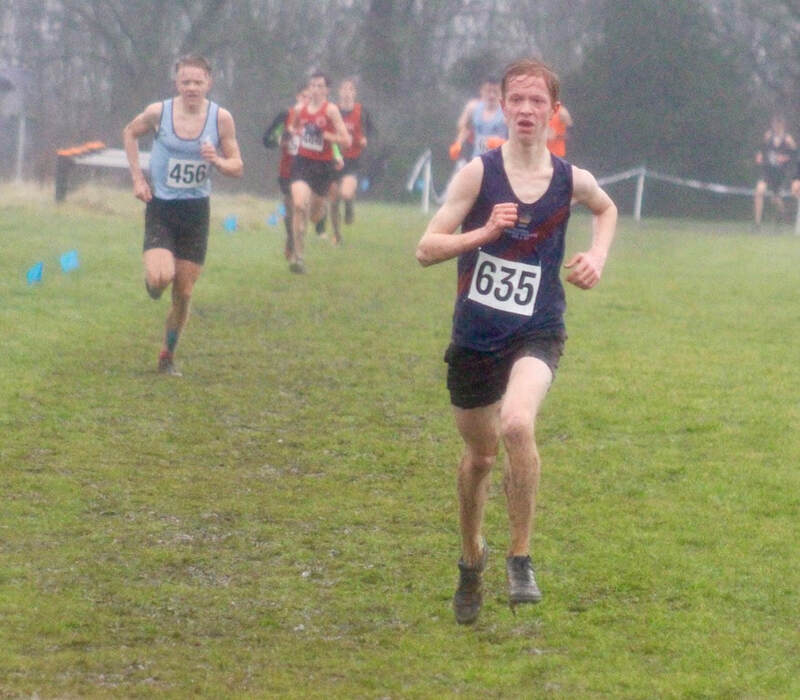 It was just an outright pb for James and puts him fourth on the UK 2018 ranking, joining Robbie and Chris Olley in the current top six and all sub 8 minutes. I think that Max Nicholls, who was third in the senior mens race, may have been the only TAC competitor. Max felt he had to race, having missed the Kent Championships. The sad aspect about all of this issue is that the entry closing date of mid December meant that not enough was in place at the time to justify TAC spending a lot of time, money and effort. Our decision was respected by many other clubs and I thank everyone, coaches, athletes and supporters for your understanding and ultimate support for our stance. Hopefully we have kept our 'powder dry' for the National ! Dan Seagrove was first home in 17.02, just ahead of James Stoney and Fraser Gordon. New floodlights at Tonbridge School Track ! The new floodlights went live on Thursday 25th January, at least for an hour or so, before a technical issue reared its head. However, the impact was terrific and I am sure they will be a real asset to the school, TAC and other users. TAC are responsible for the main financing of this investment, s part of a new, long term agreement with the school. 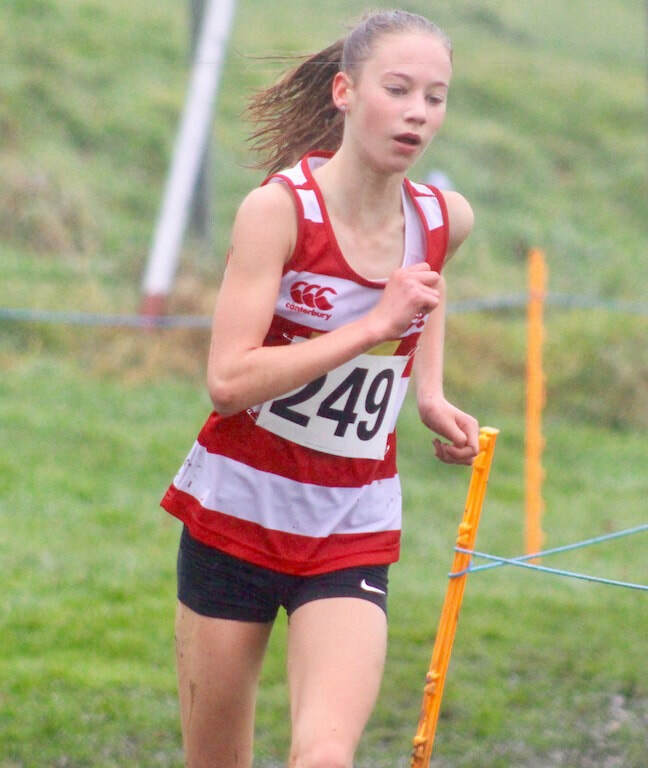 There were three TAC distance runners in action at Sheffield on Wednesday. All of them raced the 1500m. Facing awful weather conditions 14 brave young runners tackled the one mile race, splashing through the surface water in freezing conditions. However, all of them broke nine minutes. James Petrie from Yardley Court was first home in 6.18 from Harrison Fraser of TAC in 6.21. Ella Baker of Sevenoaks AC was first of the girls in 7.07. The next race in the series, at the same venue is on Sunday 18th February. TAC had a number near the sharp end of this 10 mile road race. 15th Nicole Taylor (1st female) 58.34 pb by 85s, 30th Graeme Saker 61.29 (2nd 50 to 59), 49th Tina Oldershaw 63.34 (2nd female and 1st female vet), Antonia Skerritt 71.27. ​Graeme's time was a TAC over 55 mens record and Tina's was an over 50 women's record. ​Julian's time broke Steve Keywood's TAC over 40 men's record. ​Full results on the results 2018 page. Trackside Podcast Episode 27 now available ! After a six week break we have gone live with Edition 27 of Trackside Podcast. 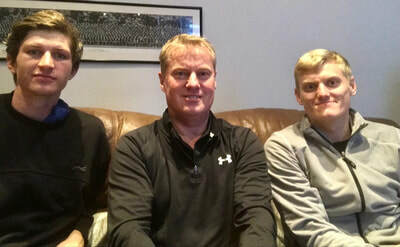 Mark Hookway, Lewis Church and Alex Hookway discuss a number of topics. All the podcast details are at - http://tracksidepodcast.co.ukWe discuss Athletics being the countries most exciting sport, Sports Personality of the year, how much input should an athlete have on their training, Asthma, Commonwealth Games selection and more. Plus we look ahead to our 2018 and have the now regular 'Mystery Athlete’. 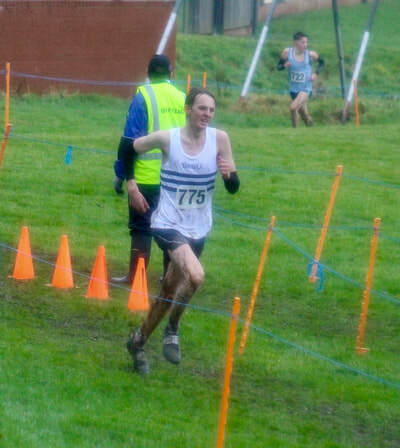 ​Max Nicholls, racing for Kent AC as second claim finished 8th. Cameron Payas racing as second claim for Guildford and Godalming finished 3rd. 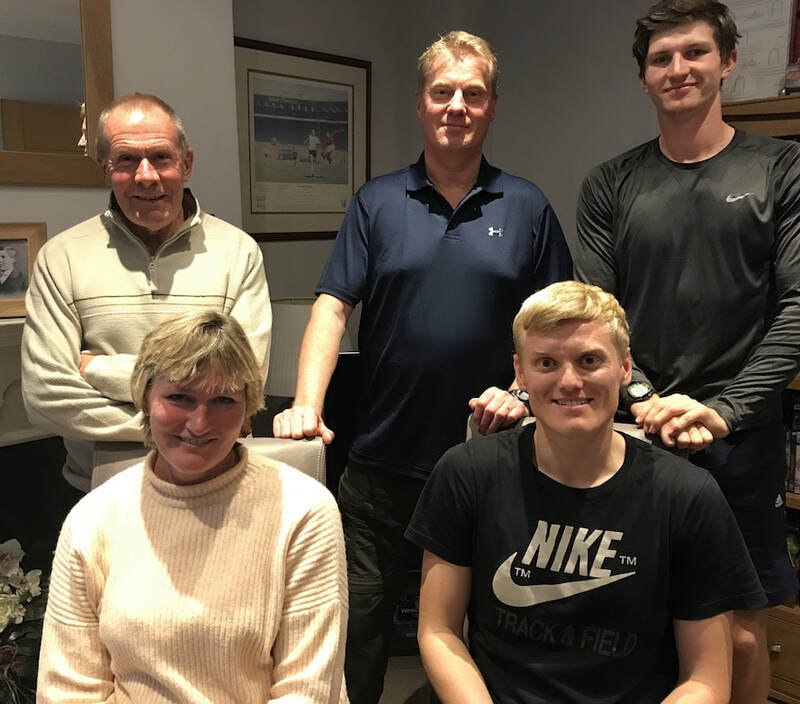 Then Robbie Farnham-Rose finished second in the 3000 metres in 7.57.02, which is a Tonbridge AC indoor club record and the second fastest ever indoors or outdoors. Charlie Joslin-Allen ran 8.27.70 for second place in the 3000 metres, which was an outright personal best. Ben Murphy was second in his heat in 1.57.89 but didn't qualify for the six man final. Angel López-Cáceres finished a very respectable 51st in this international race, during a visit home to Spain. 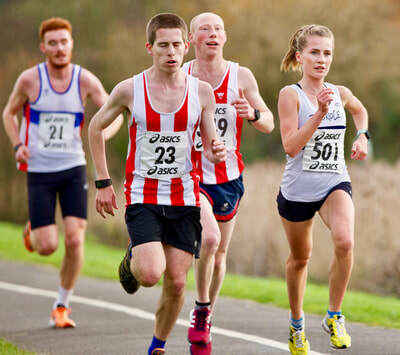 ​Ben Cole, appearing in the vest of his second claim club, Swindon Harriers, easily won this 10 mile event. Chris Olley, representing the Great Britain senior mens team finished 16th over 8km and was the fifth Brit home, scoring for the team. He was ahead of four GB team members, selected for the nine man squad. 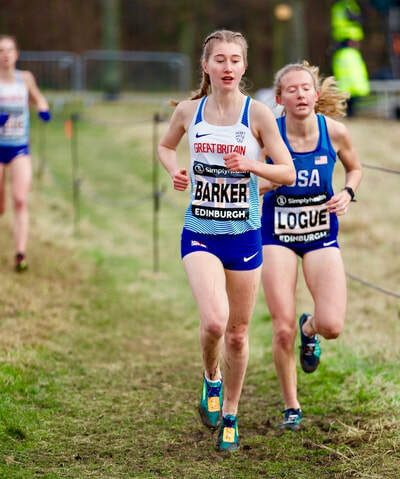 Phoebe Barker finished 15th in the Under 20 womens race and was sixth GB team member home. There were two races, with the girls running 3.1 miles and the boys 5.8 miles, with plenty of TAC showing. ​Some photos on Mark Hookway Facebook page. Angel López-Cáceres races in this international meeting. 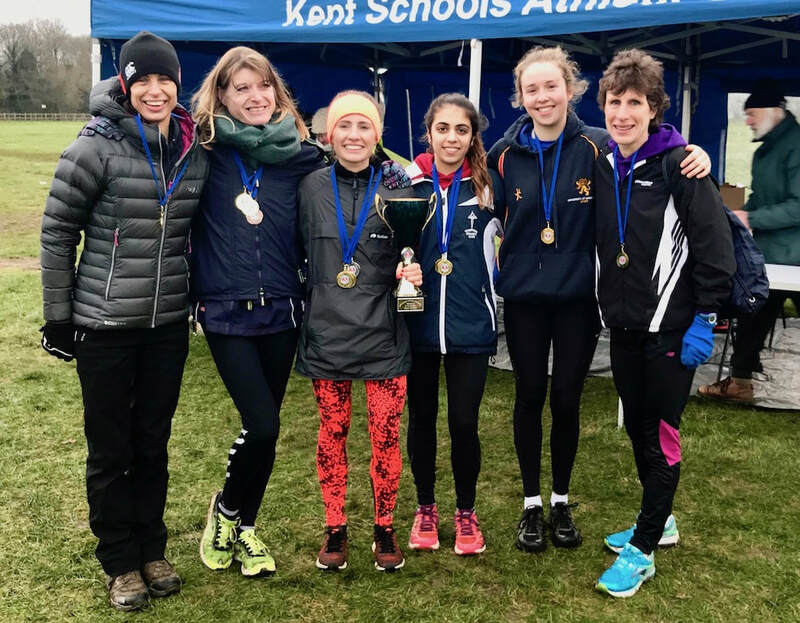 The Fantasy League page has been updated with the results from the Kent Cross Country Championships. Tim McLain still heads the athlete average table after a brave run at the Kent Champs after illness. 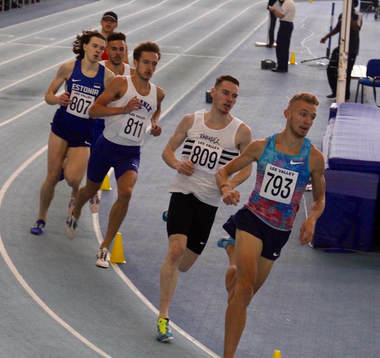 Chris Olley ran 7.59.76 for 3000 metres to slice five seconds from his outright personal best, when he finished a close fourth in a top class race at Sheffield. 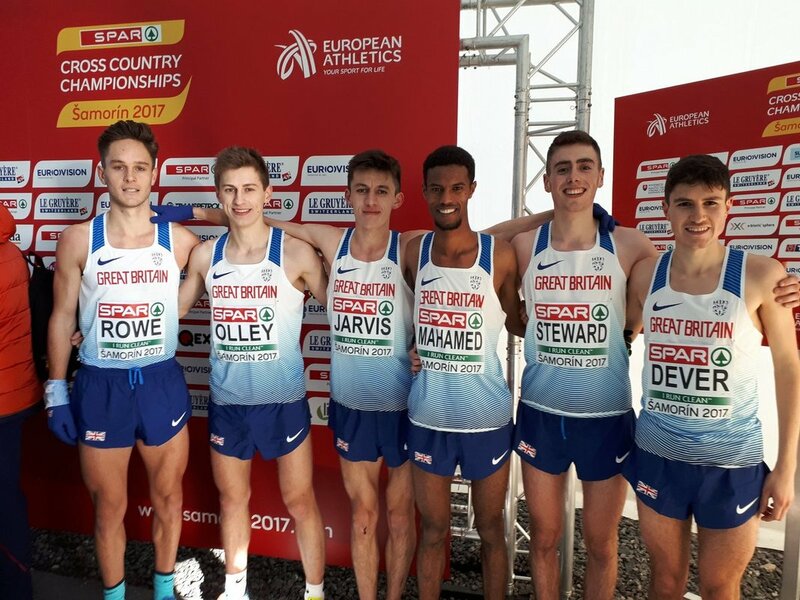 Dom Brown was second in the 1500 metres A race in 3.51.54 and Kieran Eland ran an outright pb of 1.53.92 when winning the mens 800m D race. ​There are plenty of photos available on Mark Hookway's Facebook page. Nicole Taylor won the Sussex Cross Country Championships, Senior Women race, at Bexhill, on Saturday. ​James Kingston beat James Taylor in a low key Penshurst village five mile race, on Sunday. The weather held up and the forecasted showers stayed away, whilst TAC must have had a record turn out to break the 019 total from the past two years (I will be checking). Under 20 Men 1st - (1st Cameron Payas, 2nd Jamie Goodge). TAC win for 11th year in a row ! Under 17 Men - 1st (1st James Kingston). TAC win for 12th year in a row ! Under 17 Women - 1st (8th Lizzie Miller). TAC win for first time in 6 years. Under 15 Boys - 1st (2nd Fraser Gordon). TAC win for 13th year in a row ! Ian Crawley has completed his full analysis and report after the Boxing Day handicap and all the details, including league tables are now on the Fantasy League page. I am pleased to report that Ian's blog was politically correct this week and didn't need any editing ! James Taylor (JT) has taken over at the top of the league and thats perhaps why he didn't want anything to do with organising it this year ! Steph Puxty gets a shout out since she now heads the 'regulars' having raced 23 times from a possible 24 races in FL history. Tim McLain heads the athlete averages listing although both Beatrice Heslop and Tony Cohen were pleased to see their names so high up this table, when they saw it in the club house on Thursday evening. There will be a social get together and fun quiz at the Old Fire Station Tonbridge. In the file below is detail of the training planned between 18th December and 6th January. Relatively new TAC recruit Angel Lopez-Cácéres won the Lamberhurst 10k on a hilly course in 35.01, with Dan Bradley second in 36.27. John Ridge was 17th in 42.49 to complete the winning team score. Sasha Houghton took home the first female prize with 43.26, whilst her sister Nina Ridge was First Lady in the 5k in 25.27. Cain Bradley ran 48.22 in the 10k. Tina Oldershaw who has transferred to TAC from 1st January was First Lady home in 64.48 and one place ahead of Joe Watts who was 13th in 65.34. This was a pb for Joe by more than three minutes. Max Nicholls won the Saltwood 3 miles on Boxing Day in 15.13. Video of start, halfway and finish loaded ! Around 120 runners took part in the Boxing Day handicap, organised by Steve Keywood. Alice Wood was first home, with George Duggan, who had started off scratch, coming home in second. A summary is on the Training completed page. We had 57 athletes attend, across the age groups. 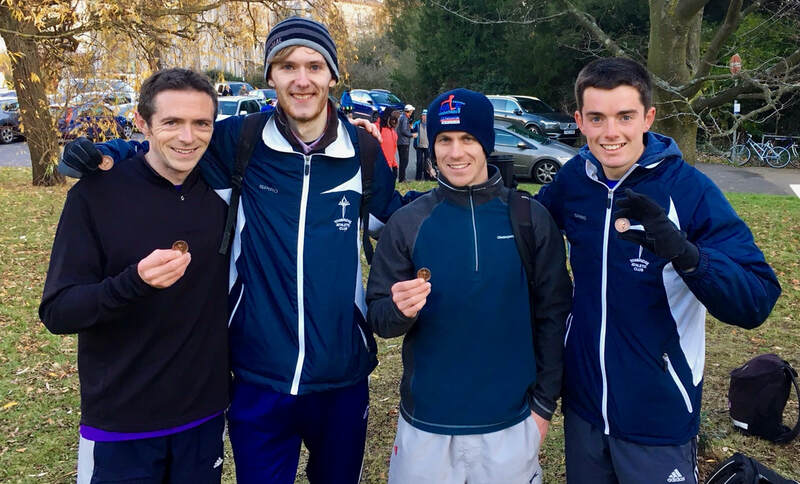 It was a day of second places as the mens team finished second to Aldershot, whilst George Duggan and Nicole Taylor both won individual silver medals. The men had a full team and despite having George backed up by Max Nicholls 4th and Ben Cole 6th were well beaten, in what was a six to score contest. 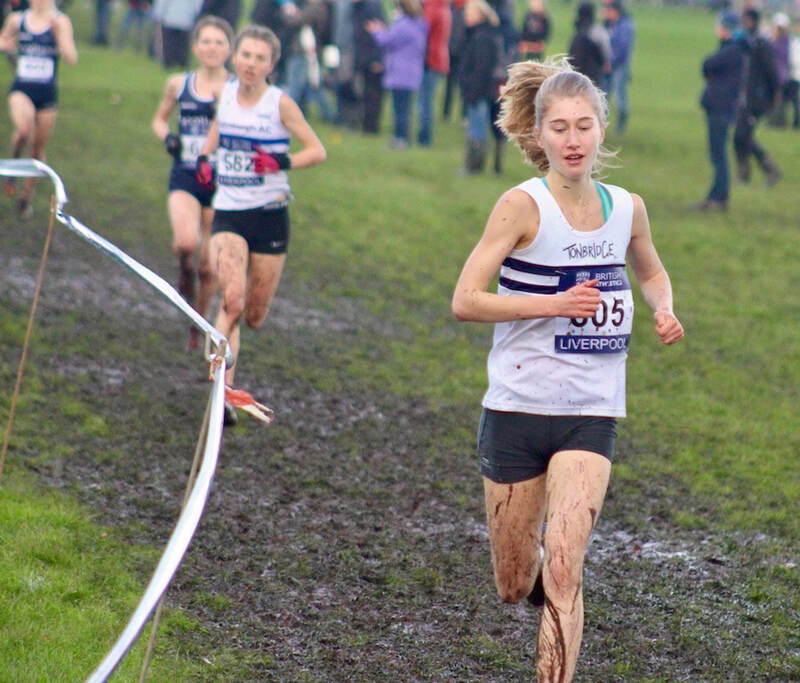 Both Chris Olley (senior men) and Phoebe Barker (under 20 women) have been selected for the GB squad to compete on 13th January at the Great Edinburgh Cross Country International. It will be Chris' first full senior GB international vest. Kieran Eland won a 600 metres indoors in Cardiff in 80.05 which sliced a bit more from his recent pb. 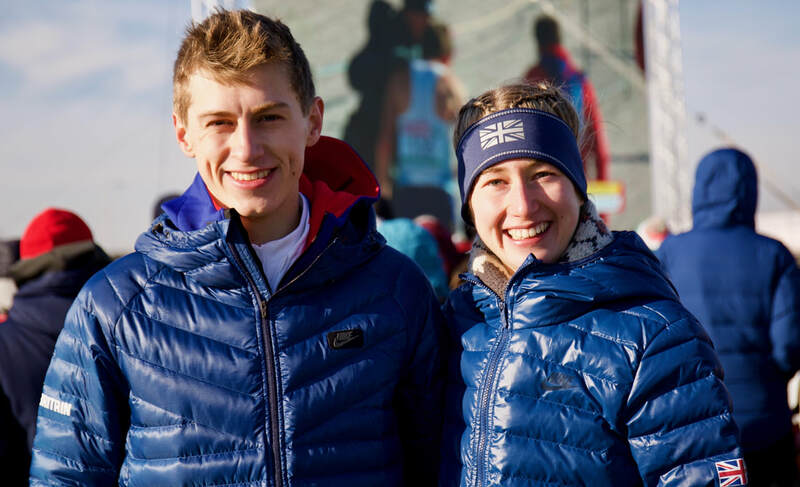 Tonbridge AC had two athletes running for the 40 strong Great Britain team in Slovakia. 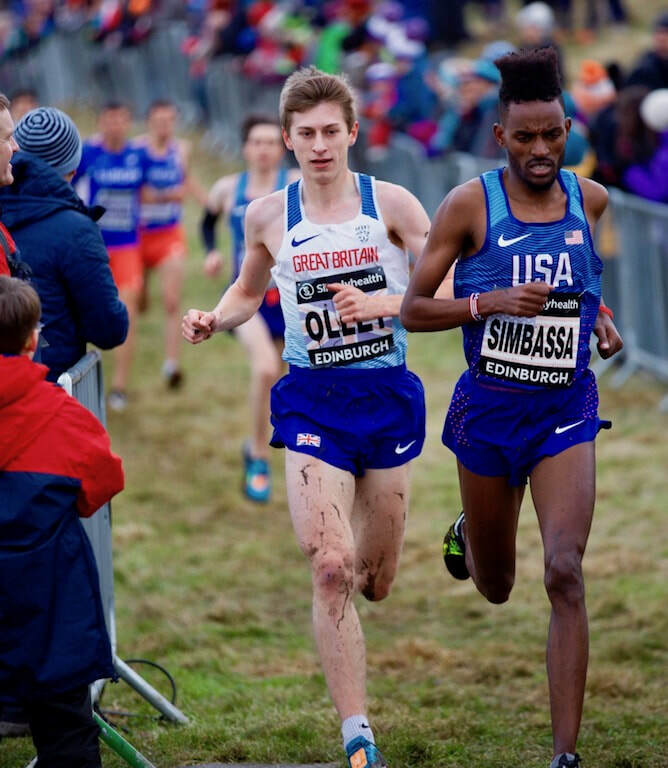 Chris Olley had one of his best ever races to finish 13th in the under 23 men's race and was the second scorer for the GB team that won the bronze medals. 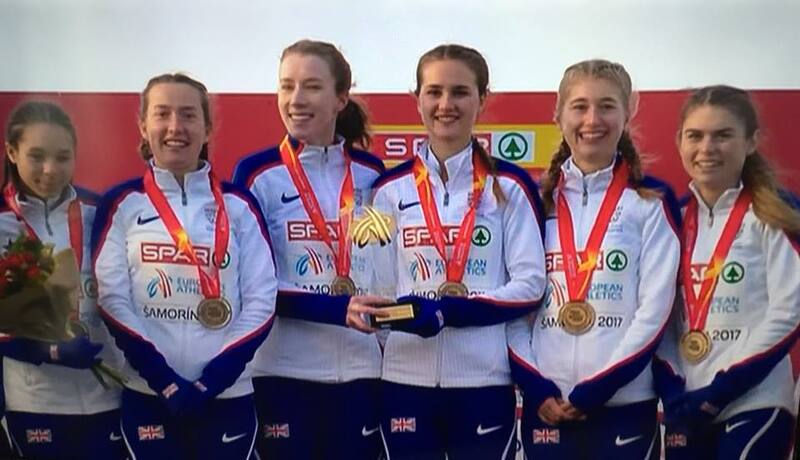 Phoebe Barker was called into the under 20 women's team on Wednesday and was fifth of the six GB runners, finishing 43rd, as the team won the gold medals. 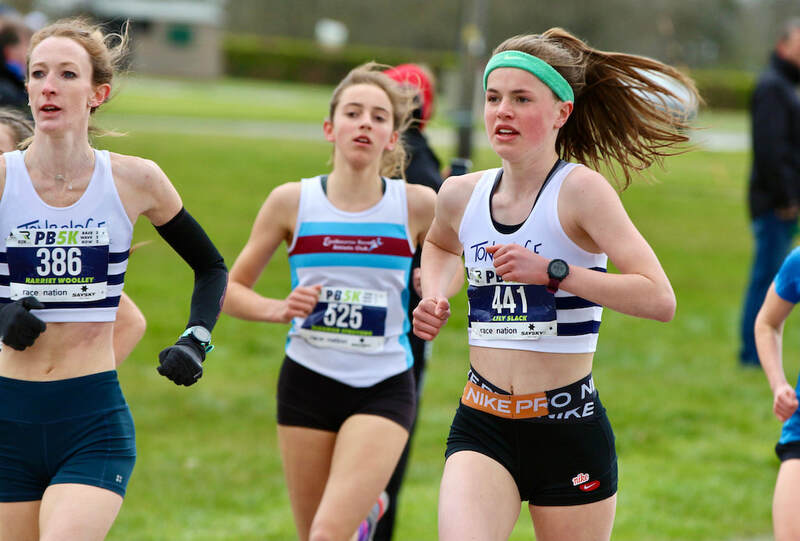 There were quite a few TAC distance runners in action at an event where there are inter county races, for all the female age groups, plus male u13,15 and 17, with the Veterans championships being held aswell. 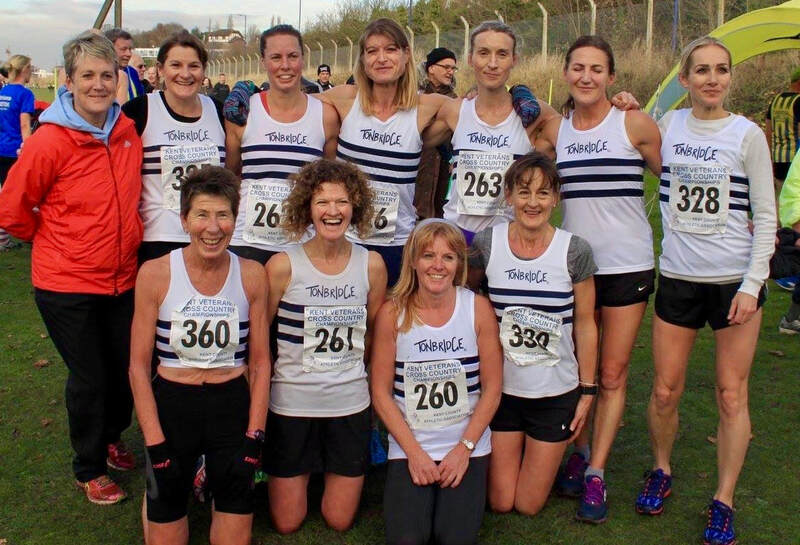 Lucy Reid followed up her club 5 miles record from last week with a fine 6th in the women's race, whilst Maria Heslop took the over 50s championship title, but also defeated all the women in the age 40 to 49 category. 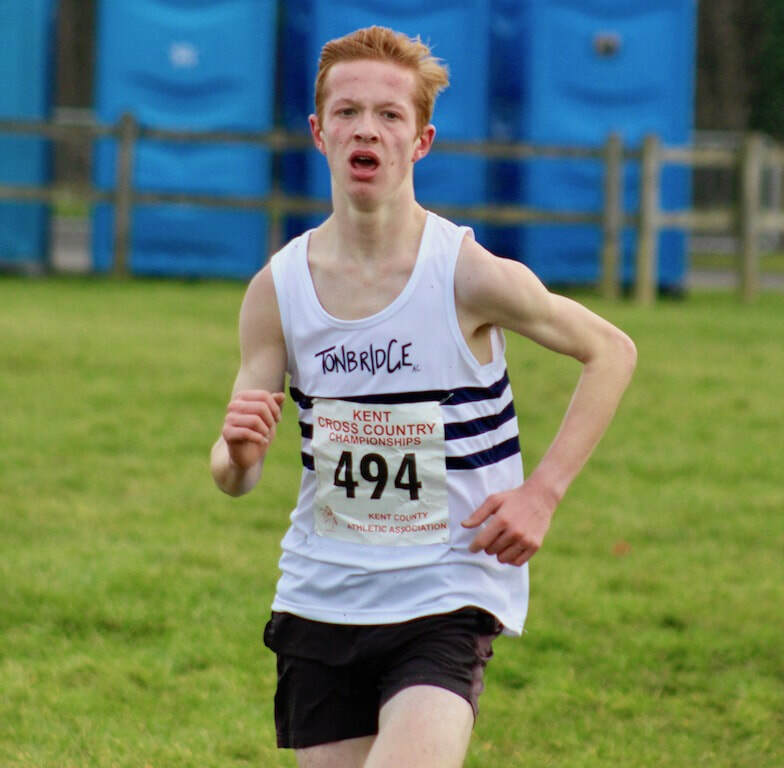 Fraser Gordon was the highest placed TAC runner in the inter counties events, as he finished 4th in the under 15 boys race. It wouldn't be a South of England Athletic Association event without problems and sure enough when I left they were still trying to sort out some results. 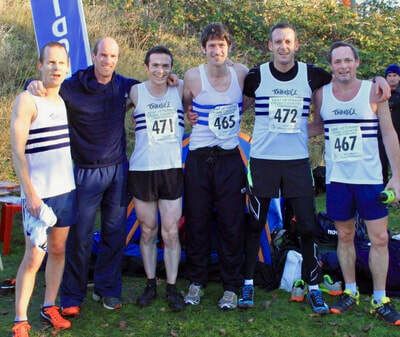 Ben Reynolds, running for his first claim club, Thames Hare & Hounds was 2nd in the over 50 mens event. 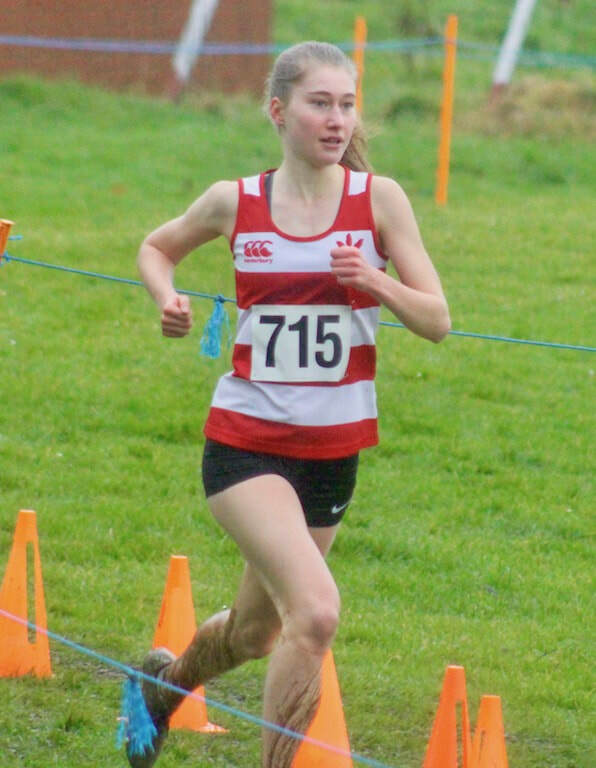 Phoebe Barker has been called up to race for the GB under 20 women team at the European Cross Country Championships on Sunday 10th December. Phoebe was initially first reserve. 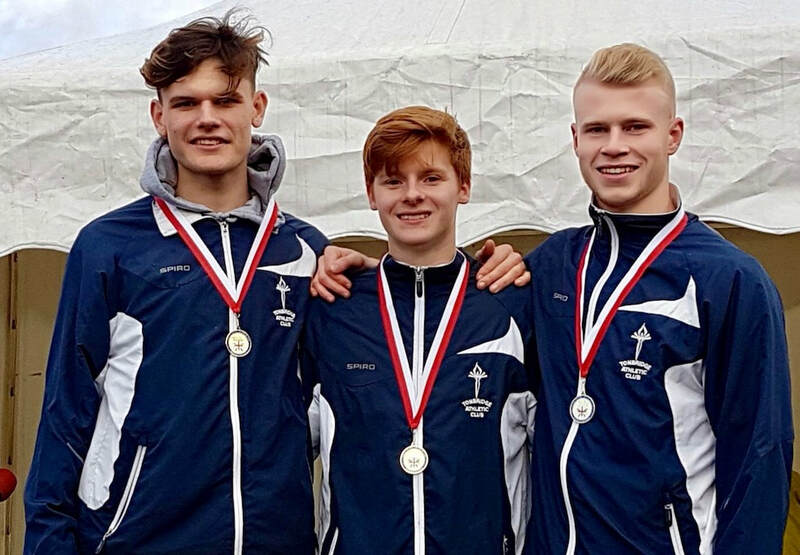 Cameron Payas was very close to running an outright personal best when he finished second over 3000 metres, at Lee Valley on Wednesday. Cameron ran 8.52.4 at the Southern England Student Sports Championships. Unfortunately I have been given the news that TAC member Pat Hollands has passed away, following illness. Pat was a regular at TAC training evenings in recent years and would often be seen at the local park runs. ​Our condolences go to Pat's partner Liz and his family. New TAC recruit Angel López Cáceres finished third in this very hilly race in 35.19. Maria Heslop followed up her Kent Veterans win on Saturday, with a first placed female here in 38.40. 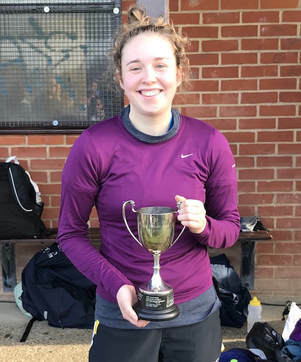 Lucy Reid was the first lady home and recorded a new TAC club record of 27.34. 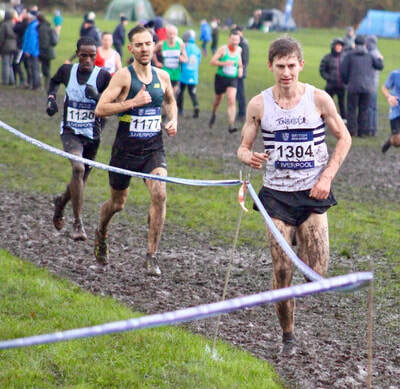 Jamie Goodge was an excellent 14th, whilst Stuart Brown (111th) and Sam Avis (157th) were in action. There were quite a few from TAC racing. Sean Molloy ran as a guest and finished an excellent 11th. Sam Crick (16.37) was first home at Tonbridge, with James Stoney running a pb in second. Lily Slack was first female. Full results are on the Results 2017 page. There are plenty of photos on the TAC Vets Teams Facebook pages. 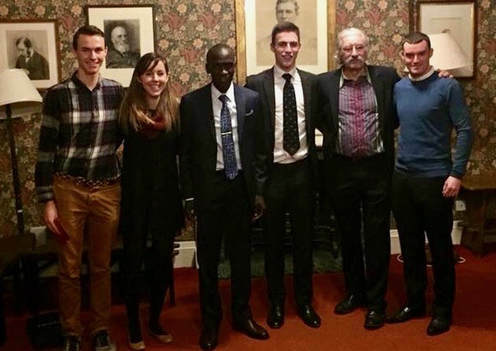 Miles Weatherseed is captain of the Oxford University Athletics Team this year and on Thursday met the Olympic Marathon Champion Eliud Kipchoge, plus Dave Bedford, the former World 10,000m record holder. Kipchoge has just been signed up by the London Marathon to take on Mo Farah in the 2018 race in April. Bedford ran 27.30 for 10,000m in 1973. Ian Crawley has produced the usual update and league tables for the Fantasy League, which are on the FL page. Its always worth reading Ian's analysis as it also gives a good idea who is currently racing beyond early season expectations. Adam Roeder and James Taylor have a battle going on at the top of the league. Ian poses the question - Which TAC runner before Olivia Breed captured a clean sweep of four Kent League victories ? 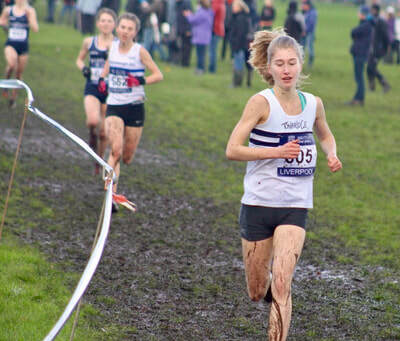 ​Phoebe Barker has been named as first reserve for the GB under 20 team for the European Championships. She has also been selected for an England team to race in Venta de Banos, Spain, on 16th December. Full results can be found on the Results 2017 page. 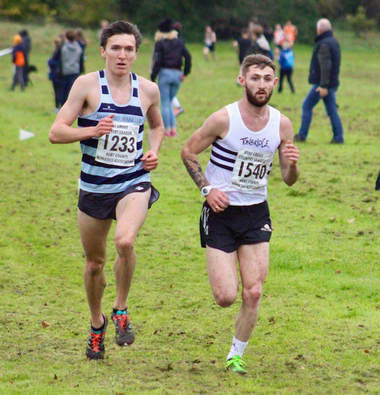 Chris Olley was 3rd under 23 and will be in the GB mens team for the European Championships in Slovakia. Phoebe Barker was 7th in the under 20 womens race and will no doubt gain an international selection for GB and/or England as a result of the performance. 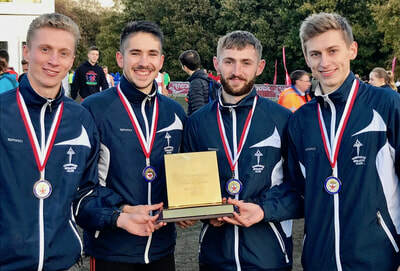 The Tonbridge men won the British Challenge event and have qualified for the European Clubs Championship, in Portugal on 4th February. Full results are here on the Results 2017 page. TAC won five of the eight league team titles across the young athlete age groups. The senior leagues are still to be completed. The Tonbridge mens team won the bronze medals, led home Jamie Bryant in fourth. 12th Julian Rendall, 22nd Greg Cole, 26th Jack Keywood. Full results are on the Results 2017 page, including few TAC competing. Rachel Fagg was 12th overall and third female at this multi terrain event. Its apparently Rachel's first ever individual medal/trophy ! We used the new Judd School sports fields for the latest of the monthly mile races. Many thanks to Simon Fraser and James Taylor for assisting. The results are on the Results 2017 page. 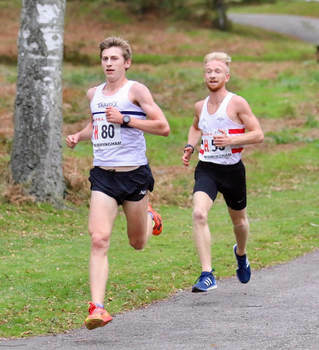 Harry Paton lowered his three year old 10k road race pb to 32.50 at Brighton. Dan Watt ran 34.50, whilst Adam Roeder ran a pb of 39.42. Ben Reynolds was 1st over 50 and Graeme Saker 6th over 55, at the Masters Home International, in Ireland. Both were representing England. Results are on the Results 2017 page. A tough day for Henry Pearce (220th) and James West (did not finish) at the NCAA championships. There were plenty of TAC runners representing their schools at the Junior Knole Run. The age group is primarily school years 7 and 8 with some younger also competing. The girls race was won by Olivia Breed with Lily Slack in second. Lily is too young to compete at under 13 level this Winter. George Hopkins was the first of the TAC boys home, as he finished 5th. 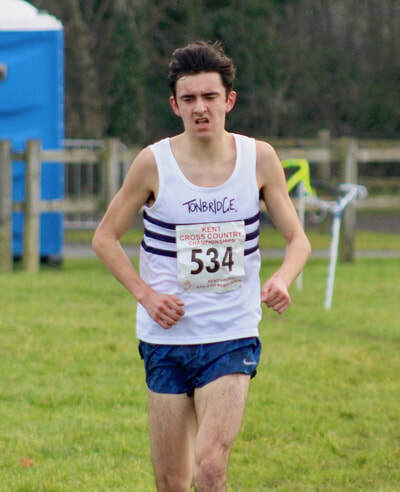 Kieran Eland ran his first ever 600 metres and recorded an excellent 1.21.6 for second place in a university match. Max Nicholls was third in the college league on Wednesday afternoon. Ian Crawley has updated the league tables and provided his analysis after the Kent League. See the Fantasy League page. The top three overall teams currently belong to Adam Roeder, James Taylor, and Richard Tosh. 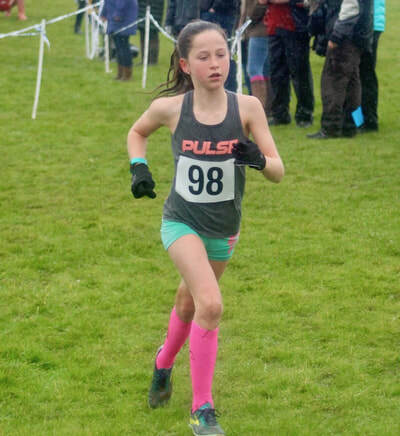 6th Kiri Marsh, 13th Chloe Bird, 17th Lottie Richardson. Full results are on the Results 2017 page. 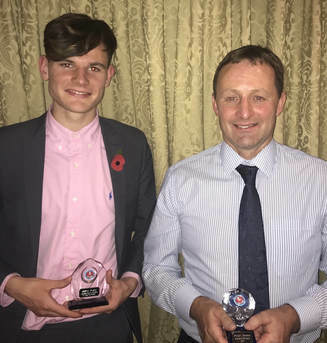 James Puxty (Young Athlete of the Year) and Pete Mason (Coach of the Year) were the two Tonbridge AC award winners at the Kent Athletics Dinner on Friday evening. James won the National under 17 cross country championship and the English Schools Senior Boys 3000m title. Pete started coaching around 2002 and then encouraged others to join him soon after . He has helped so many of the club's young athletes over the years, many of whom are now performing at senior level. 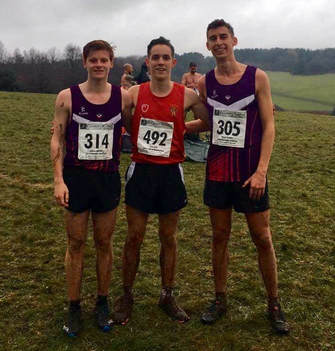 During those years the club has won many national cross country and relay titles culminating in winning the National Cross Country Senior Men's title this year. 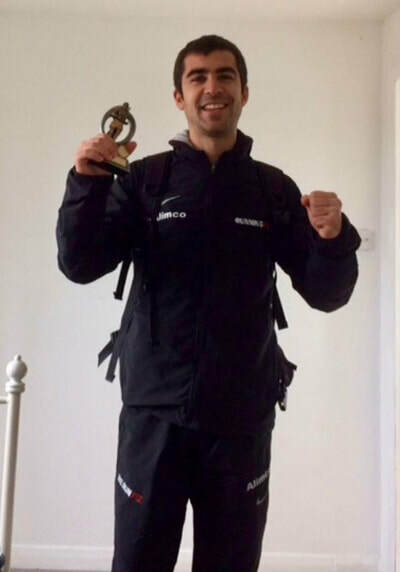 Pete has continuously managed the club's young athletes and youth development league teams over the years, plus served on the Tonbridge AC management committee. 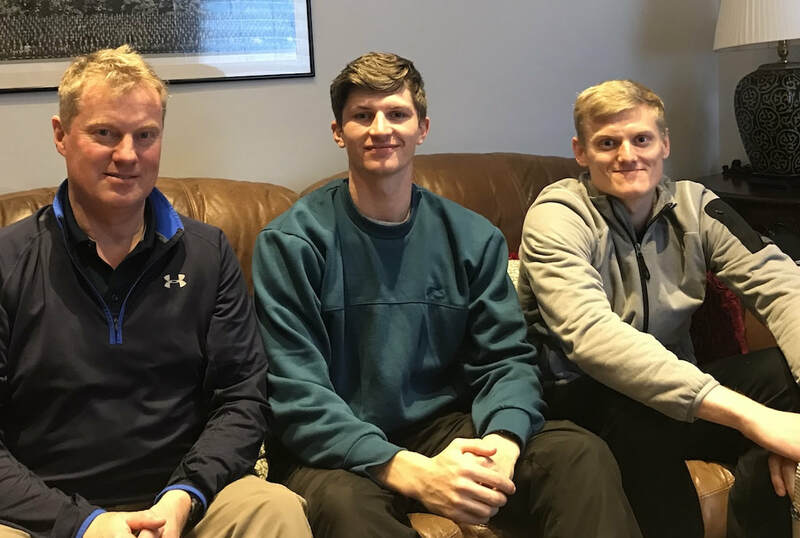 Without Pete's influence many other coaches and volunteers may not have come into the sport and many athletes might have been lost to the sport. He is highly regarded at the club and seen as a real friend to many, always willing to offer his ear to listen to problems or issues, plus give guidance. 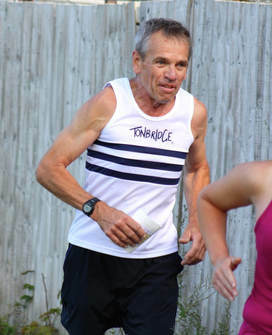 Pete has been a member of Tonbridge AC since 1974 and a part of many teams over the years. Its good that his contribution to coaching with the Tonbridge distance running squads is recognised, not just for this year but for the past decade and a half has been recognised. 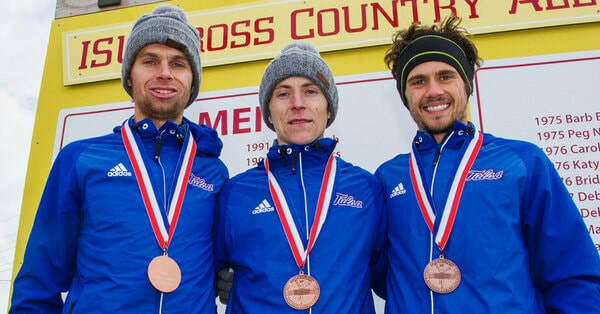 Alex Howard (San Francisco) and Henry Pearce (Tulsa) raced in the USA NCAA Regional Champs today. Alex was 74th in the West Regional whilst Henry was an excellent 8th in the Midwest Regional. It has been confirmed that Henry has qualified to race in the NCAA championships on Saturday 18th November, where James West will also be racing for the Oregon team. Ian Crawley details the latest Fantasy League positions and news in his analysis that can now be found on the Fantasy League page. The top three overall teams currently belong to James Taylor, Adam Roeder and Richard Tosh. Alex Hookway has developed www.tracksidepodcast.co.uk as a web site for the podcast. It should make accessing and downloading all episodes easy, plus seeing what was discussed on each one.